As is often the case with claims handling services, Aspiro is paid a fixed amount per claim, depending on the type of claim concerned. 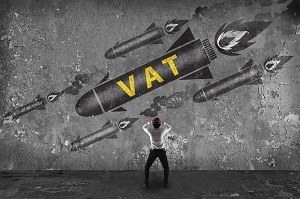 For years the fees paid to Aspiro by insurance companies have been considered exempt from VAT thanks to special exemptions for insurance business that are codified in the common system of Value Added Tax in Europe. This arrangement was thrown into some doubt when Aspiro requested the Polish Finance Minister to confirm their interpretation of the exemption. Unfortunately, the Minister did not entirely agree with Aspiro’s interpretation. The Minister concluded that, because of their “technical and administrative” nature, not all of the services provided by Aspiro should benefit from the exemption. The Court of Justice considered the question and published its ruling on 17 March 2016. The European VAT Directive exempts insurance and reinsurance transactions from VAT, including related services performed by insurance brokers and insurance agents. The Court first considered whether the settlement of claims constitutes “insurance transactions”. The Court ruled that even though the claims settlement process is an essential part of an insurance transaction, the service itself does not constitute an “insurance transaction” within the meaning of the VAT Directive. Therefore, the exemption does not apply on this basis. The Court then considered if Aspiro might be exempt on the basis that it is a provider of “related services performed by insurance brokers and insurance agents”. The Court quickly assessed that the term “related” is sufficiently broad to cover a range of different services, including the settlement of claims. Attention then turned to the crucial question as to whether Aspiro might be considered to be an “insurance broker or insurance agent”. The Court applied two tests to make a determination. The first test was to establish whether Aspiro has a relationship with both the insurer and the insured party. This was easily demonstrated. The second test was to establish whether Aspiro’s activities cover the essential aspects of the work of an insurance broker or an insurance agent. This proved to be more problematic. The Court considered whether the activities of Aspiro were linked to the activities of an insurance broker or insurance agent which “consists in the finding of prospective clients and their introduction to the insurer”. On this point, the test was failed. The Court decided that claims handling services performed in isolation and not combined with “the finding of prospective clients” does not qualify under the Directive and Aspiro is not entitled to claim the exemption. In a nutshell, the Court ruled that the outsourcing of claims handling services shall not be exempt from VAT, unless those services are linked to the finding of prospective clients. Many would be of the opinion that this ruling does not make sense given how modern insurance companies are managed and run, particularly in the UK and Ireland. Be that as it may, this judgement is consistent with current practice in most of Europe and the ruling is likely to have significant repercussions. The impact in Ireland depends on Revenue’s response to the judgement. Revenue chose to defer its response to a similar judgement in 2005, citing an EU review of financial services and VAT. That review has now collapsed and a further deferral would appear unlikely. Revenue is understood to be considering the judgement and industry awaits their guidance. A worst case scenario could see some companies experiencing increases in claims handling costs by up to 23%, depending on the extent of utilisation of outsourcing and their VAT burden. Insurance companies will surely be considering the implications for their outsourcing arrangements and service providers may be considering the scope of their service offerings, given the very specific nature of the ruling. The text of the judgement can studied here. The views of this article do not necessarily reflect the views of the Society of Actuaries in Ireland, the Enterprise Risk Management Committee, or the author’s employer.